1. Stars are point-like sources of light. 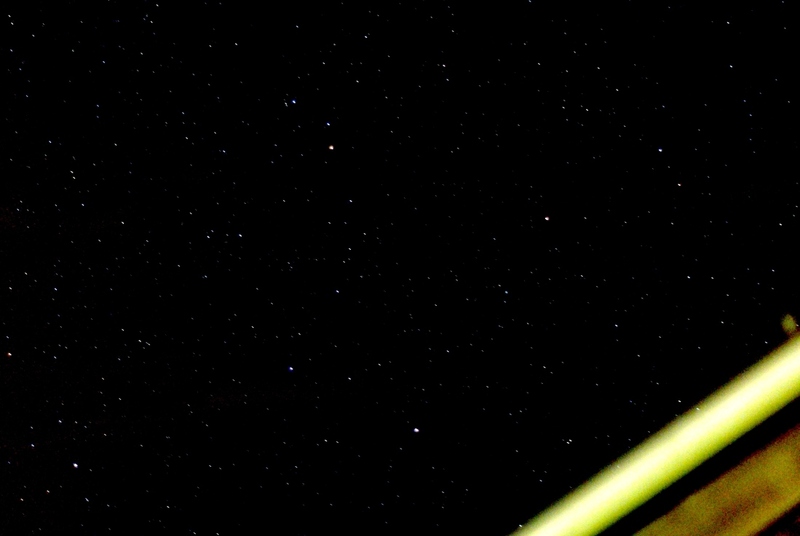 This is to be understood in the sense that the stars for all practical purposes are infinitely far away, and therefore, the light arrives at our lens in parallel bundles - which means that the image of a star in the first approximation mere is a mere, single point measuring a measly single pixel on our sensor. In practice, due to air turbulence but also because of more fundamental optical principles the images of the stars will become small disks, but they are basically very, very small. In the old analogue days light was somewhat scattered in the emulsion and activated several silver grains. Therefore, old, analogue star photos often look more "pleasant" than the current digital ones that may seem somewhat flat and synthetic. That being said, to prevent disappointments. 2. Stars are point-like sources of light. - and thus, are different from illuminated surfaces such as moons and barn doors in that it alone (in the first approximation) is the lens' physical opening and NOT the lens opening / focal length, which determines how much light one pixel element of my sensor will receive. For a given lens diameter. 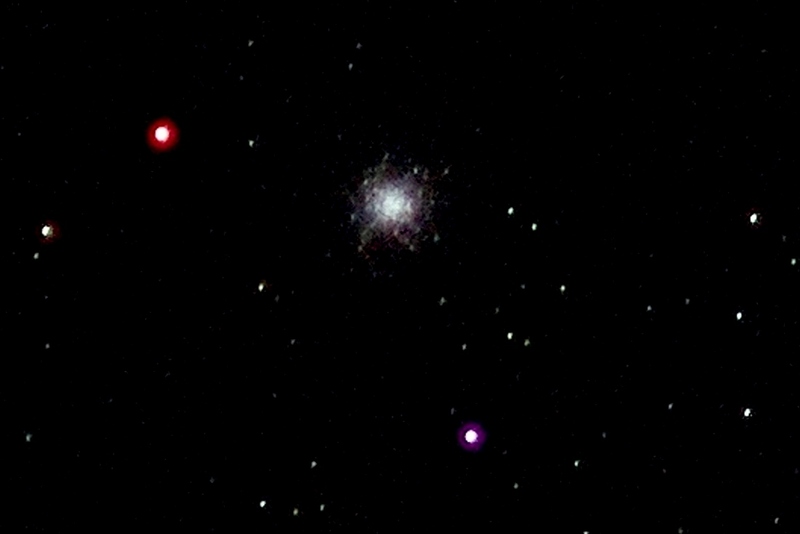 only the exposure time and sensitivity of the sensor will determine how bright a specific star will register and how faint stars, we can catch. So I can put a 2X teleconverter on my 200 mm f/3.5 telephoto lens and spread all dimensions of the captured image to double size - the stars will remain just as clear or equally weak for that matter. 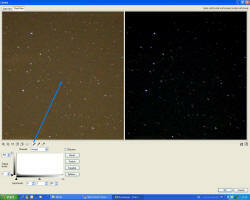 But the dim night sky gets darker and the contrast improves accordingly. 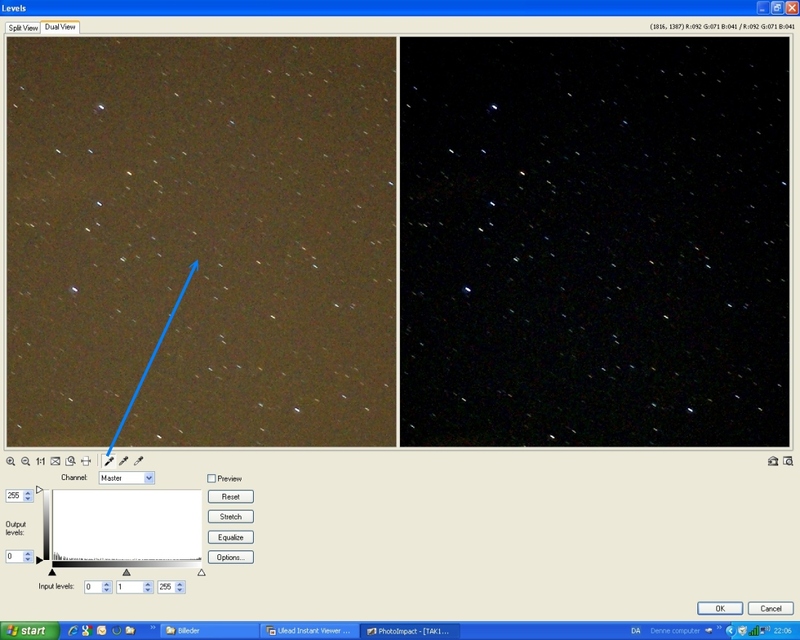 However, truly point shaped are the images of stars never because the light - as it passes through an aperture (lens opening) of a limited physical size - undergoes a diffraction and interference, called diffraction, which causes the image of the star to be composed of a small central spot surrounded by alternating dark and light rings, which rapidly decrease in strength from the centre. 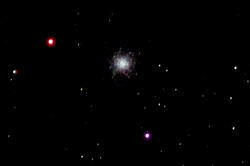 Consequently, more luminous stars produce - after all - larger images than weaker. The size of this spot (called Airy disc) decreases with the physical size of the lens opening, but increases with focal length - in other words: It grows proportionally with the F-ratio. This actually means that with the same focal length the disk will grow in size - and thus, weaken in surface brightness - the more I stop down the aperture. 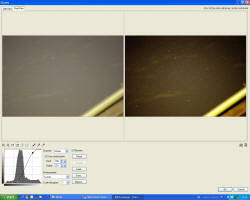 And on top of that, the more I stop down the aperture, the fewer photons I get to spread out over a growing area!!! 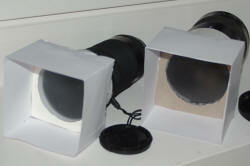 One may also say that you pay much more than double for each f-stop that you stop down your lens. This is the reason, dictated by the laws of optics, why one MUST use as large an aperture as lens quality permits in order to capture the fainter stars in any reasonable span of time. 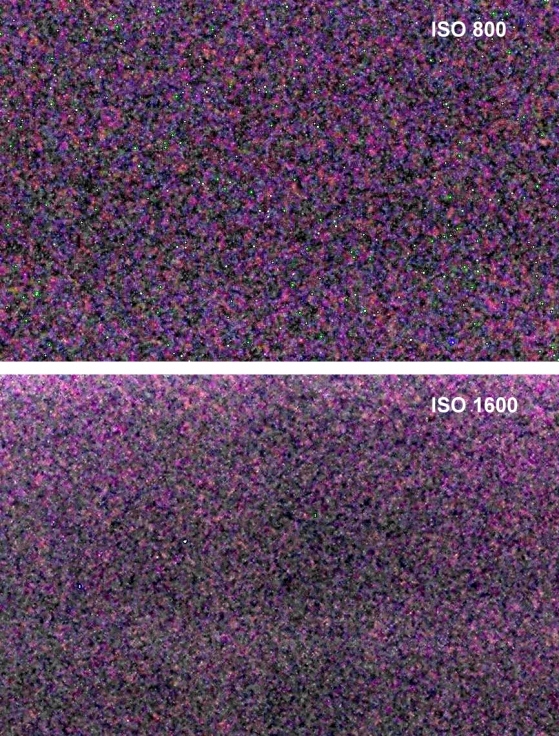 Astro Photographers usually have the greatest distrust of in-camera noise reduction, because manufacturers surely did not have small faint stars (which can be easily confused with pixel noise) or weak nebulosity (which can easily be confused with colour and luminance noise) in mind when they made their noise reduction algorithms. 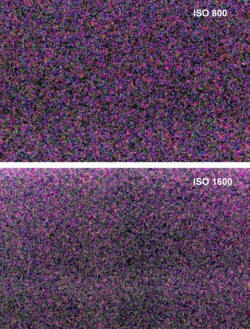 Thus, turn off any noise reduction that you can and be prepared to do some post-processing of your images accordingly. But beware! Even if you've turned off all noise reduction, some noise reduction algoritms may well be runnig in the background at high ISO. This is nothing that your manual speaks of and you will have to make your own experiences. Strongly amplified noise of 30 second dark exposures. - even though all noise reduction was disabled! The sky does not, but the daily rotation of the Earth around its axis makes the stars trail over your head as seen from your vantage point on Earth. The closer they are to the celestial equator the longer trails will they make on your photo (for any given focal length and exposure time) unless you have your camera rotating along on a so-called equatorial mount, (se more about that in the second part of this suite of tutorials). I often hear fellow photographers suggest that even with fixed tripod photography, one should use only moderately high ISO due to the noise issues associated with high ISO values (today, from about ISO 800 and upwards). Now, if you want to shoot star trails under a dark sky, that may be a reasonable advice, but if you want to record stellar and constellation images as they look to your eye that is definitely NOT a very well placed bit of advice for the fixed tripod astrophotopgrapher. For example taking a 30 second exposure with a 24mm lens of a star near the celestial equator (d = 0 degrees) will produce a star trail of about 0.05mm. Surely, that is not much, but with a typical pixel size of contemporary DSLRs around 0.006mm that star trail will show up as a small line about 8 pixels long, which you will readily be able to see in tight crops/large magnifications of your image. This may or may not annoy you; at least you now know what you are up against. So, you want to keep exposure times - and thus the length of star trails - reasonably short while still capturing more than but the very brightest stars? Then one should start - in particular the beginning astrophotographer - with an ISO of around 1600 and try out the recording capability of the camera + lens combinations that one intends to use at varying exposure times. Say, from about 30 seconds and down to a couple of seconds. Same image as above after just two simple steps in post-processing. 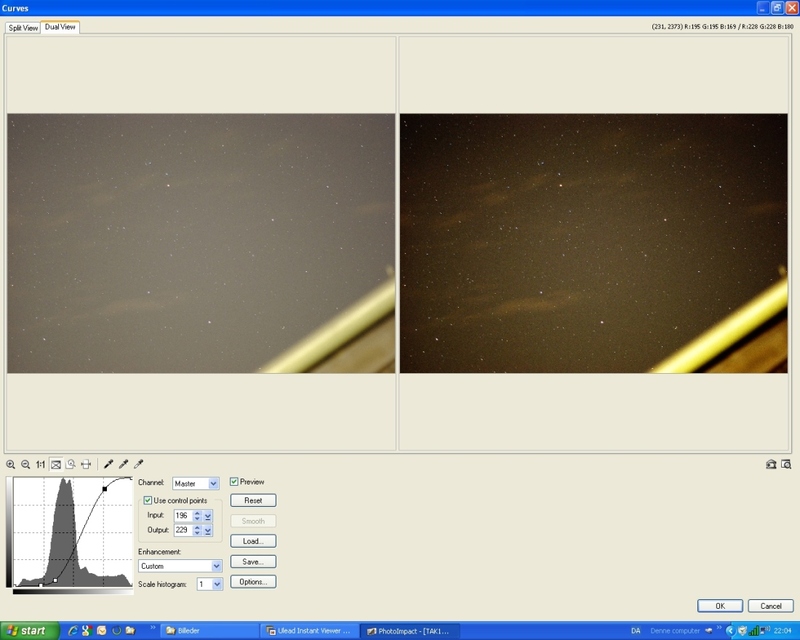 Now if you have a sensor that is noisy and thus, have to struggle with sensor noise and light pollution, the standard technique is that you take a so-called Dark Frame (DF), i.e. 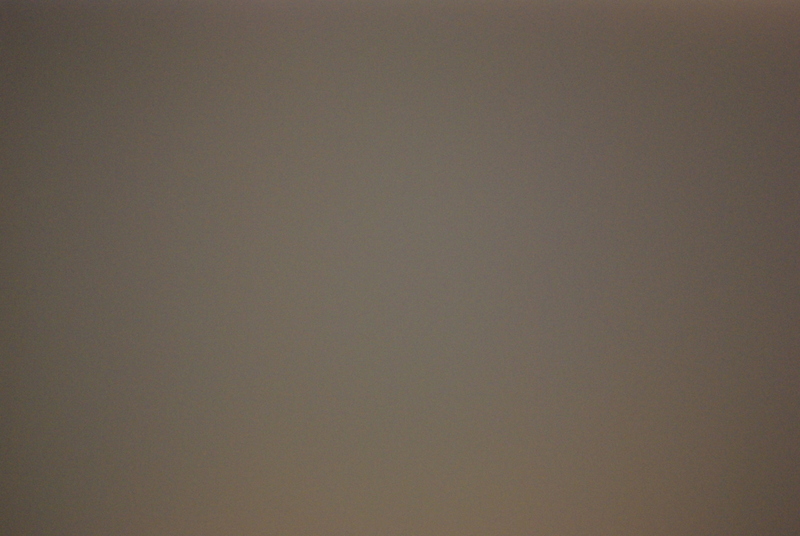 : an exposure with the lens cap on at the same ISO, exposure time and temperature. This DF is then subtracted from the sky image whereby you get compensated for the pixel noise (hot pixels) and smoothed out colour and luminance noise. After that the picture may be treated as described above. But there is a possible shortcut, where you can kill two birds with one stone and compensate simultaneously for both light pollution and noise. This shortcut says: Do not shoot a DARK- but rather a LIGHT Frame through a piece of matt plastic folder! The picture above adjusted in CURVES and LEVELS. In a following Tutoral(II) I shall show how to make images as the one shown at the beginning. You will find the sequel here.